Soap that grows on trees…literally?! It’s true my dear friends, and I am so glad to be the bearer of such earth-saving, laundry-loving, chemical-free news. When I first head about soap nuts, I must admit, I was extremely skeptical. How could these little nuts actually clean my clothes? I was convinced in just one wash load of laundry, as my clothes were fresh and clean without any harsh detergents that would otherwise leave dangerous chemicals on my skin! It seems ironic to me that we use such toxic substances to clean our clothes, while they typically end up leaving more damaging chemicals behind. A soap nut is the fruit of the Ritha tree, also known as the Soap Nut tree, or Soapberry tree, indigenous to northern parts of Asia, India and Nepal. For centuries, soap nuts have been used by people in these areas to wash their laundry and finest textiles (wool, silk, cashmere…). The Soap Nut tree synthesizes its own natural soap-like saponins that coat the outer shell of the fruit. When the fruits ripen and fall from the tree, local families harvest the windfall, and then remove the inner fruit from the outer shell. 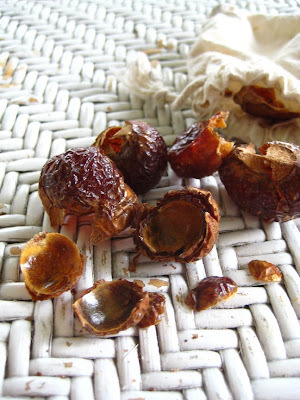 The soap nut shell is then dried in the sun, using absolutely no chemical processing or manufacturing processes. In fact, the whole process uses no fossil fuels either, (except in the transportation of the product). Soap nuts release their saponins in hot water, so you must use medium-high water temperatures when washing to ensure that it is liberated into the washtub. Soap nut saponins circulate as a natural surfactant in the wash water, reducing the surface tension of the water and freeing dirt, grime and oils from the clothing. And unlike the harsh chemicals, which are poured down the drain with your waste water, soap nuts produce no harmful residues, are 100% biodegradable and septic safe. They are reusable! After each load of laundry, leave your soap nut shells to dry completely and use them once again in your next load. When all the saponins have been released from the outer shell, toss them in the compost heap or green bin to return back to the earth. This makes them incredibly affordable too. Place 4-6 soap nut shells in the small cotton bag that will be provided when you purchase them. If you like your laundry scented, place a few drops of your favorite essential oil directly onto the bag before placing in the washing machine. Soap nuts are especially recommended for babies and people who suffer from any kind of skin sensitivities or allergies. In addition, the soap nut saponins naturally exhibit antibacterial and antifungal properties. What else can I do with Soap Nuts? Soap nuts have even more uses than just laundry detergent. A “soap nut solution” can be made from the leftover shells to be used as hair shampoo, pet shampoo, all purpose-cleaner and even dish soap! Wowee. I have yet to try washing my hair with this solution, but I will give a full and honest report once I’ve really gone to the dark side. I did wash my hair with the leftover liquid from making tofu once, so it’s really not that much of a stretch. This, by the way, is a very ineffective cleaner, but great for repelling bad dates. I’ll try the soap nuts (check out the directions below). In a small/medium cooking pot with a lid, add some water, and cook a small handful of soap nuts for about five minutes. Cover the pot with a lid while cooking. After five minutes, remove the pot from heat and let cool. Remove the soap nut shells, and place in the compost. * By increasing the amount of soap nuts when making the solution, you can make the solution stronger, and adding more water will make it weaker. In India soap nuts are used as a shampoo. We crush them, boil in water, allow the liquid to cool and apply to the hair. The hair gives a brilliant shine after the bath. However we need to be careful in preventing this liquid from getting into the eyes. The eyes turn red though temporarily. These were a part of every household until the shampoos flooded Indian market. I am sorry to disapoint you but the soap nut just don’t work. My mom used them for some time but then we found a test conducted by a French consumer organisation which compared about 30 different washing products including soap nuts and pure water. Soap nuts are indeed very eco-friendly but they are also inefficace. You may as well not bother using them at all, the results were similar to those when washing with only water. In india we use soap nuts to wash our hair, it does not form much lather but is really really good for hair growth and elimination of dandruff. Just crush the soap nuts with a heavy pestle, boil in water for a few minutes and them strain and while still lukewarm use on hair like shampoo. As i said it does not form much lather, hence we add hibiscus leaves to the mixture which acts as both a conditioner and also for lather. . Your hair will have a shine after using soap nuts and hair fall decreases. I’m late to the party, but soap nut also makes an excellent shampoo! how hot is medium-hot? I normally wash with cold water. Do you think it would be worth the extra energy usage to swap to soap nuts and use warm water? Just made my first soap nuts purchase- looking forward to trying them! I hear they are great for cloth diapers (baby)and for sweaty workout clothes (husband). great post! 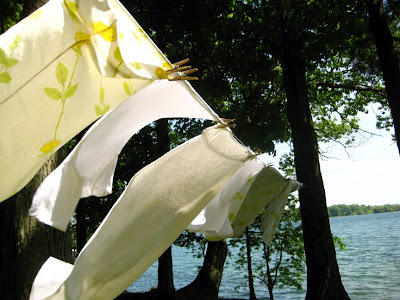 saponins are indeed a very cheap and sustainable way to wash clothes, hands etc. If you can’t find soap nut, you can also get powerful saponins from the bark of the Quillaia tree (Quillaia saponaria). Powdered bark is widely available – just google quillaia saponaria.